Stay where the winners stay. The Holiday Inn Express Speedway Resort is home to NASCAR Daytona 500, Coke 400, Bike Week, Biketoberfest and Turkey Run. Fresh from a multi-million dollar renovation, Limited Time Offer- Book our Room and Free Gas Package and receive a $10 gas card for each nightThis 12 acre resort is an ideal location for the business or family traveler. 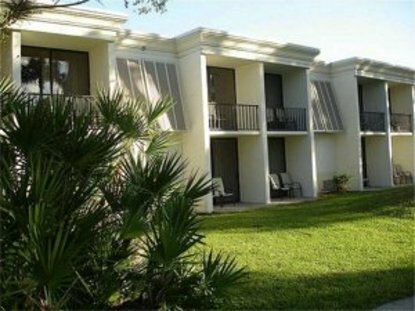 Amenities include Florida&regs largest Olympic size hotel pool, six lighted tennis courts, fitness center, jogging trails, and the Indigo Lakes 18 hole championship golf course. We are adjacent to over 75 restaurants and shops. The hotel offers shuttle service to Daytona International Airport, Daytona International Speedway, Daytona 500 Experience and Volusia Mall. The Holiday Inn Speedway Resort is the closest hotel to USA Tennis Center, LPGA International, and Greyhound Race Track. The resort atmosphere is a natural setting for meetings and reunions with its 4,000 square feet of meeting space. This hotel is committed to providing accessible facilities under the American Disabilities Act. If your accessibility needs are not met, please contact the Hotel Manager on Duty. Should you require additional information regarding accessible facilities for guests with disabilities, please call 1-800-Holiday (U.S. and Canada) or contact the hotel directly. For the hearing impaired, TDD service is available at 1-800-238-5544 within the U.S. and Canada.